Royal Biographer Penny Junor will be giving an illustrated talk to celebrate the release of her latest book. All The Queen’s Corgis is a look at all the dogs our Sovereign has owned during the course of her life, their individual personalities, quirks and eccentricities and the special relationship she has had with them. 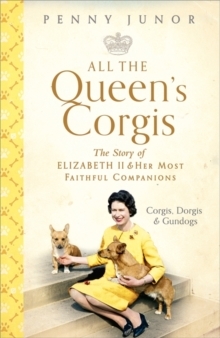 This fun and affectionate book complete with wonderful photographs tells the stories of the Queen’s closest companions over the years, her beloved corgis, dorgis and gundogs. From the people they have bitten over the years to the scrapes they have been involved in, All The Queen’s Corgis will tell you how they live, what they eat, who prepares their food and who gives it to them how they are trained, where they are walked and where they are buried after their deaths. Hungerford Town Hall, 7:30pm on 20th November.